Home › Inspiration › Shifting Circumstances? Today I’m coming at you from a little different angle. Instead of some nerdy advice, or information that you’ll probably not even read, I’m sharing some inspiration that I gleaned last night. My girls are at that stage where they are always begging to go on bike rides. Last night was another one of those nights. 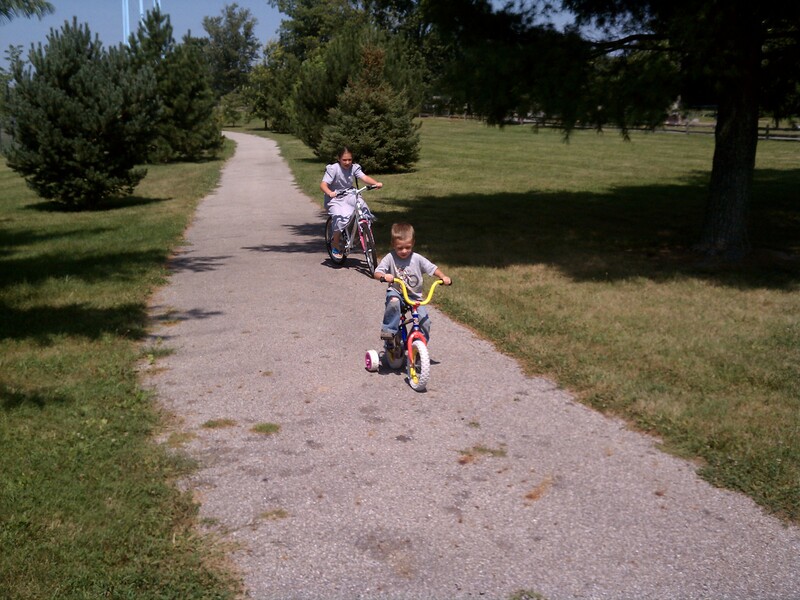 Since I’m still a little cautious taking them on the road with all the speed-demons we have around here, especially since Jordan also likes to go along, we decided to go down to the River Greenway. We’ve only been on the Greenway once before this, and wondered how we could have missed out on this for so long! After a slow, leisure ride, with many stops to explore various “awesome” sites and things of “great interest”, we discovered an anomaly unlike anything I have ever seen before. The ground along the river had washed away the soil under one of the trees. Rather than topple over, as most trees in this situation do, this tree split up the middle, allowing half of the trunk to slide down the bank while the other half remained firm. 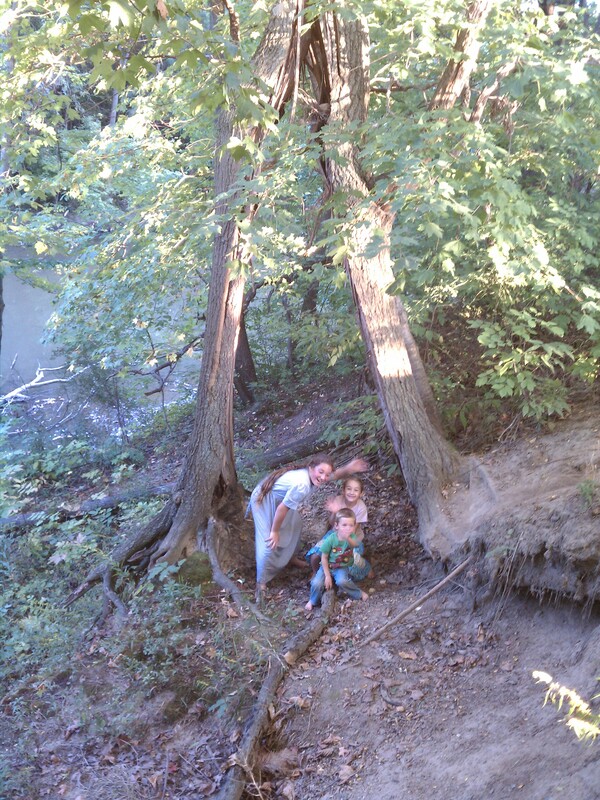 The kids LOVED sliding down the embankment and playing around this “strange” tree that they could run through the middle of! Meanwhile, I sat on the park bench taking pictures and thinking how this can be used to inspire myself (and hopefully others). Be a TREE, not a LOG! Often when circumstances beyond our control “pull the rug out from under us”, we tend to give up and topple over. Remaining upright WILL BE PAINFUL, but remember, if you’re standing, you’re a TREE, if you give up and fall down, you’re just a LOG! Don’t give in to your circumstances! 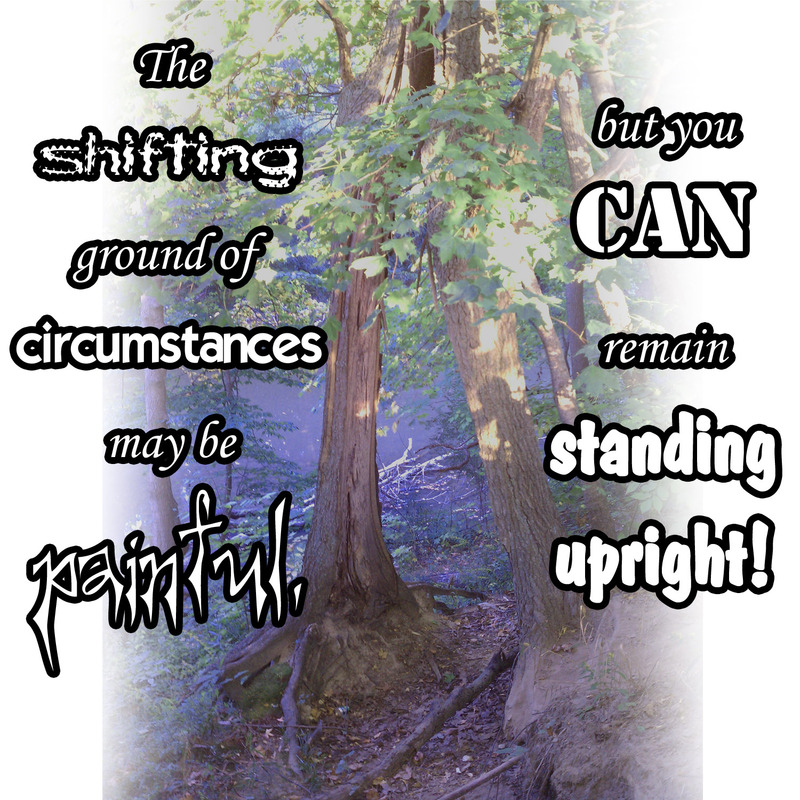 What circumstances are threatening to “topple” you and reduce you to a “log”? ‹ What’s The Big Deal About Colors? Great thoughts and the tree is awesome!